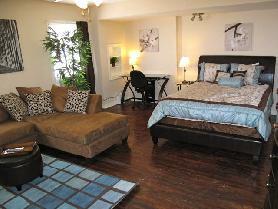 Studio Apartment in Old East Dallas. Fully Furnished Apartment in vintage building on a tree-lined property and street. Each unit has been updated with modern furnishings including an HDTV 32″ Flatscreen, WiFi, a TV in bedroom, a DVD player, and a queen bed. Covered parking is available for an additional fee. There is a washer/dryer facility for building. All parking is located behind a security gate. This complex is perfect for medical staff needing to be close to Medical City, Baylor, Texas Presbyterian, Children’s Medical, and UT Southwestern, or professionals commuting to downtown. This property is located in the Dallas Independent School District. To view more photos, maps, and information about this property, please click here. 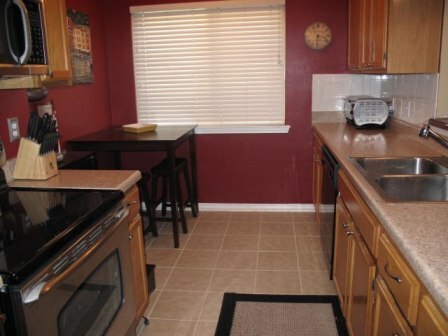 2 Bedroom/1.5 Bathroom Town Home in Dallas close to Downtown, Baylor, and the Historic District. Great Town home in the Historic Swiss Ave District. Sitting one street over from beautiful Swiss Ave mansions, this property is located on rejuvenated Gaston Ave. 5 minutes to Whole Foods, Downtown, and Farmers Market, and only 10 minutes to White Rock Lake, Katy Trail, West Village, and Knox-Henderson district. This unit is a corner unit and has wood floors, fireplace, large kitchen, open work space with desk, and the bedroom is located upstairs with the full bathroom, and washer/dryer closet. Gated, key access to the breezeway. Gated parking with carport. Private courtyard perfect for grilling, or enjoying glass of wine! To view more photos, maps, and information about this property, please click here. To view all the amazing fully furnished properties that AvenueWest Dallas has to offer, please visit us at http://Dallas.AvenueWest.com or give us a call directly at 214-754-7171.